Description: Special Media Feed of Tech News with coverage of events like CES and SXSW. Over 2500 Interviews from leading companies. In my experience, expecting a new baby is a conflicting mix of emotions ranging from total joy to sheer terror…and I’m the dad. For mums-to-be there’s the extra worry from carrying the baby and 78% of women experience unhealthy levels of stress and anxiety during pregnancy. These concerns are not entirely unfounded as the risk of miscarriages and stillbirths is significant, and sadly there’s still considerable stigma associated with a failed pregnancy. Many medical professionals recommend measuring kicks and punches after 28 weeks as a good indicator of a foetus’ relative health but there’s often natural variation and mum’s often got other things on her mind. Of course, this is where Rubi from Sensable Technnologies comes in. Rubi is a passive wearable pregnancy monitor that mum wears over her bump to automatically record kicking information. Eric and Nolan tell me more about Rubi at the Wearable Technology Show in London. Typically Rubi records a running total for the last hour and keeps track of the last kick. The information is transmitted via Bluetooth to the parents’ smartphones and the complementary app shows the activity. If there is anything to be concerned about, the Rubi app will alert the mum and she can do a non-stress test to check. Rubi itself uses strain gauges which are screen-printed onto the fabric to make the maternity band, and there’s a small microcontroller pod for collecting the kick data and transmitting it onwards. In addition to the maternity band, the team has produced an active tape which adheres directly to the skin. Rubi is now live on Kickstarter with several early bird deals. Prices are slightly different from the interview but currently Rubi is priced at US$223 / GB£165 with delivery expected in February and March 2019. 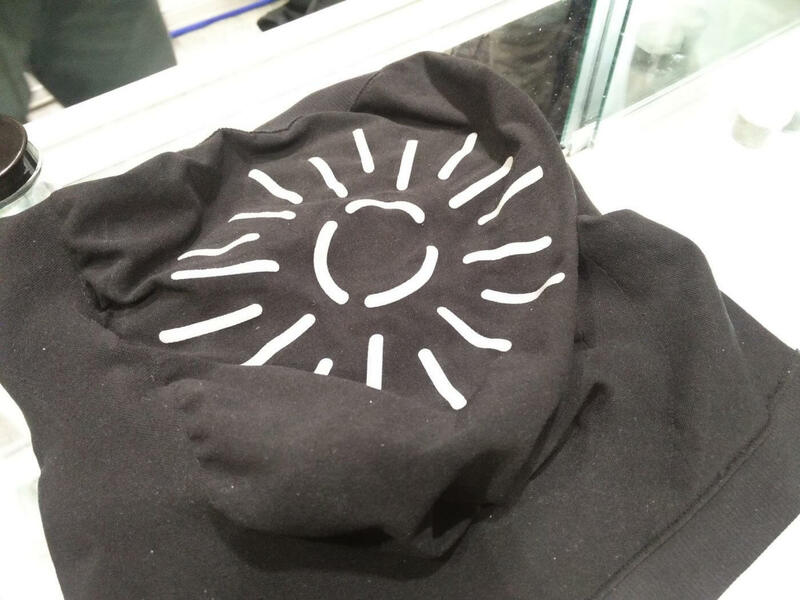 The active tape version will be delivered earlier at the end of 2018. Please bear the delivery dates in mind when considering your own pregnancy as Rubi is best used from 28 weeks onwards. 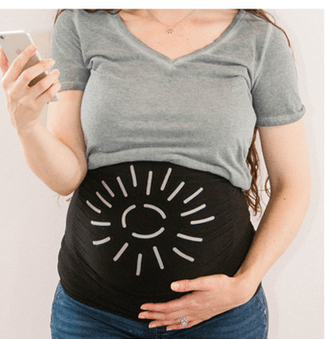 The post Rubi Pregnancy Monitor at Wearable Technology Show appeared first on Geek News Central.